Make the most of shared economy based business model with Yo!Rent. Launch your online rental marketplace and let your customers rent items as per their requirement. Choose Yo!Rent to get marketplace that engages your audience right from the first glance! High on performance nil on errors, that’s how our rental marketplace solution is. To woo the mobile and smartphone generation, Yo!Rent offers seamless mobile experience. Yo!Rent packs a bundle of carefully curated features after an extensive research. 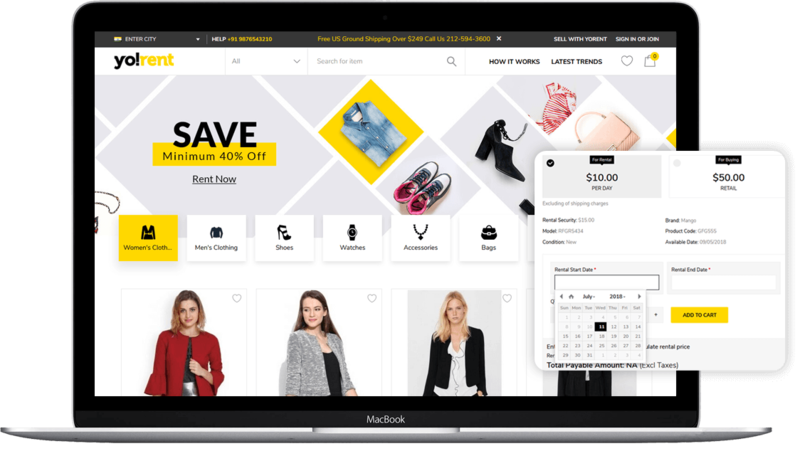 The result is a rental marketplace system that boasts of everything you will ever need to drive your business towards growth and success. 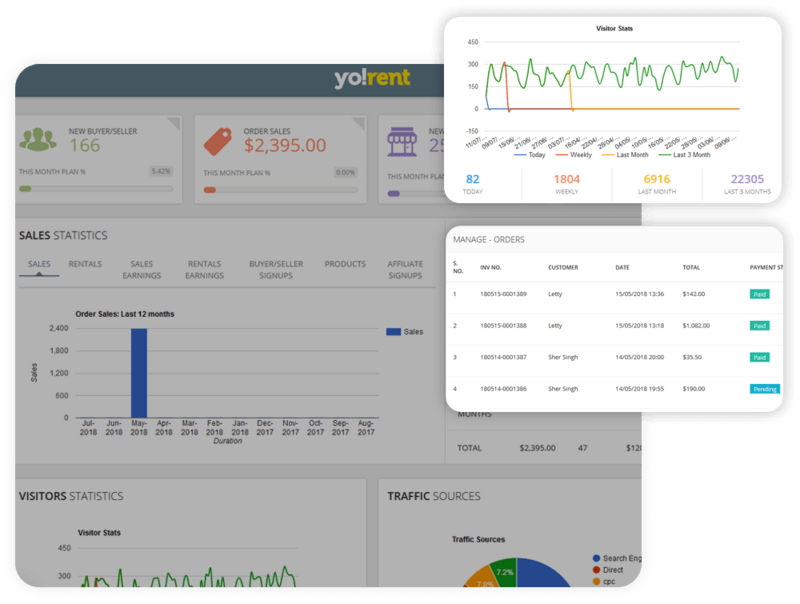 Yo!Rent empowers you to start your own online rent portal in a cost and time effective way. Check the different available packages and what they bring for your online business. - 30% on completion of the project, prior to moving files to your server. Planning to launch a renting marketplace?